The Maya system is the successor to the highly successful Cloud range. The design of the seating and table units takes the principle of the Cloud frame and refines it. The frame is reduced in dimension with an ultra-slender powder coated aluminium profile connecting to cast aluminium legs. 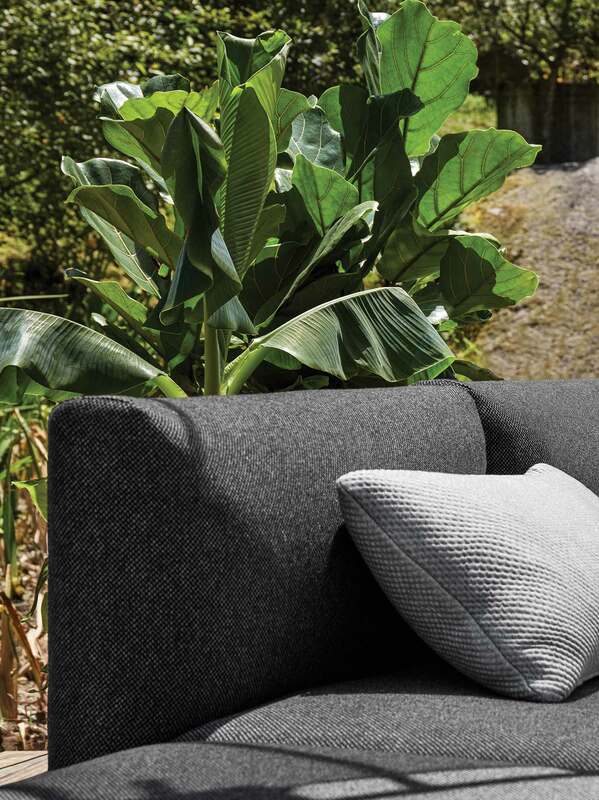 The side and back cushions are subtly revised in profile and detail, and use a series of specially developed knitted fabrics exclusive to Gloster. The range has been supplemented by the addition of a series of double units combining seat and table elements on a single frame which reduces the need for individual units and the number of visible legs. The table units in new sizes are available with a patterned teak slat top or with a ceramic surface and can to be placed together in contrasting scales and materials. This principle extends to the console tables which can incorporate planting trays to give further variety to a living landscape. 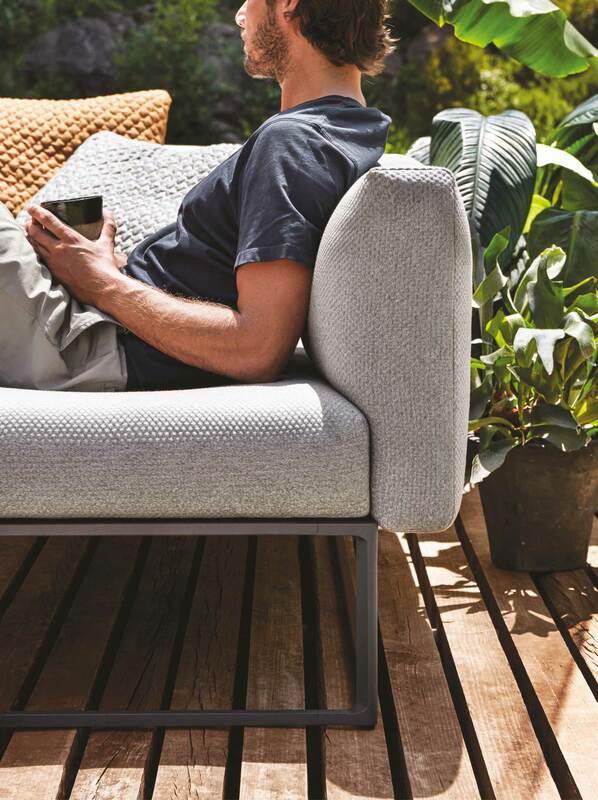 The outdoor screens use universally sized solid teak components that are all made from offcuts which are normally too small to be used in furniture. The frame uses a number of specially developed interlocking aluminium extrusions. We imagined creating a series of gentle enclosures that are not as limiting or constraining as a room, but which allow for open vistas, virtual doorways and the gentle suggestion of distinct spaces. The screens are high enough to provide privacy, but avoid a sense of confinement and are designed to filter light in intriguing patterns. They are essentially self-supporting as the result of each unit incorporating a right angle, and can also be reconfigured. Within these transparent walls, different ambiences can be created that reflect and intensify the outdoor living experience.